While not the most timely of reports, the Monthly Wholesale Trade report from the Census is useful when estimating capital expenditures by industry. Released a little over an hour ago, the January report showed good sales improvements compared with the wretched January 2009 period. 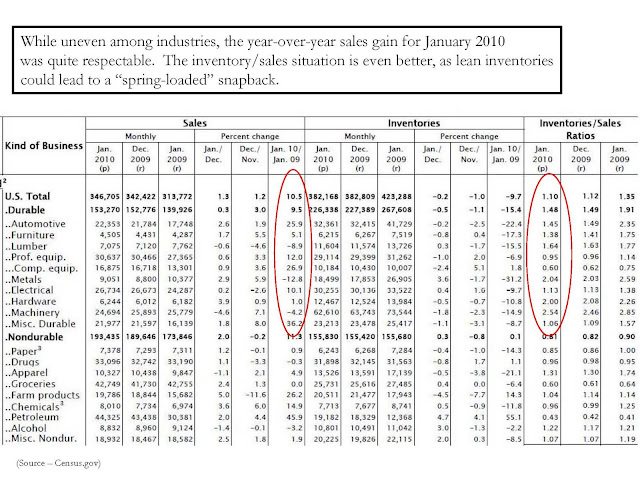 Even more positive is that inventory-to-sales ratio's are still low, implying more upside than downside to capital purchases by companies this year.